The center’s blood inventory is at full capacity, but officials say they’d like to see more donations in case supply runs low as more people head to the Bay Area for the big game. The Stanford Blood Center (SBC) is calling for increased donations to gear up for Super Bowl 50. 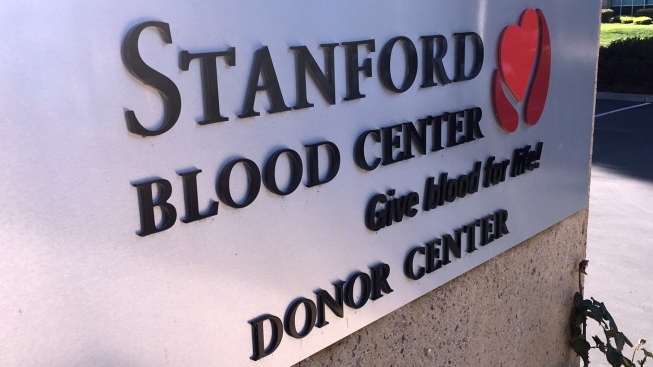 The Stanford Blood Center is calling for increased donations to gear up for Super Bowl 50. SBC supplies blood to Stanford Health Care, which is one of two designated trauma centers for the big game, being held Sunday in Santa Clara. The blood center wants to make sure it has enough inventory to send to the hospital in case it sees an increase in patients. "Stanford Health Care is projecting a 20 percent increase in the number of patients that they’ll see," said Jonathan Bautista, Chief Operating Officer at Stanford Blood Center. The center brought the hospital’s blood inventory up to full capacity this week, Bautista said, but would like more donations in case the supply runs low as more people head to town for Super Bowl activities. Donors are required to be in good health with no flu or cold symptoms. Photo identification is required for the donation which usually takes an hour. To make an appointment, call (888) 723-7831.